Mumbai, 25th February 2018: To create awareness about the ill effects of child labour in Mumbai Infiniti Mall Malad in association with Joint N Motion held The HDFC Bank Malad Run today. 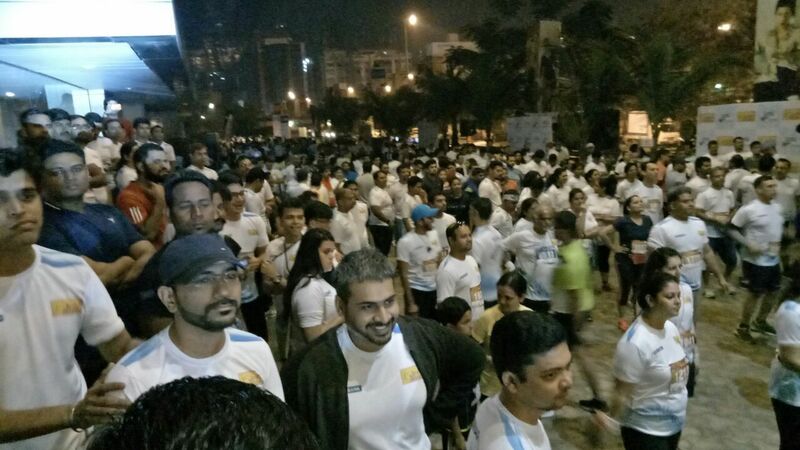 The prominent personality like Siddharth Kannan was seen amongst many running enthusiasts who participated in the run. 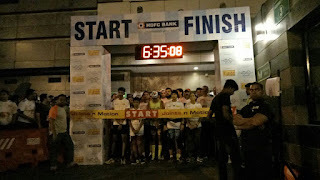 Affiliated to the Mumbai Athletic Association, the run was categorized starting with 10 km, 6 km and 3 km for runners to participate respectively. Organisers of the marathon have spared no efforts in ensuring that the runners are well looked after during the course of the run. The 10-km stretch for the Elite Runners started from Infiniti Mall Malad at 6.30 am morning, passed through Mindscape garden and Inorbit mall with 2 loop to finish at Infiniti Mall, Malad followed by 6-km and 3-km at 7.15 am and 7.30 am respectively. New Delhi, February 12 2018:Leading Asian direct selling company QNet has launched five new models under its luxury watch brand - Chairos. The Chairos brand is QNet’s proprietary range of luxury and sports watches exclusively for India. The new Chairos watches have been designed to combine form and functionality with timeless elegance and style. Suneel Pushkarna a selfmade name that outshone everyone else in the theatre industry in his city of birth Gorakhpur. He began his career in 1984, in a small town of Uttar Pradesh and embarked his name in the bookg of theatrical society in Gorakhpur. He performed various outstanding dramas in Deen Dayal Upadhyay University, Gorakhpur some of which are Andha Yug and Katha Ek Kans Ki. 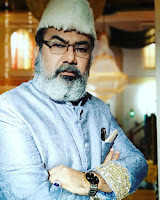 After completing his Master’s in Economics he moved to Lucknow to be a part of the theatrical society there, with the influence of his seniors and mentors he nurtured himself as a full grown actor there and staged as a lead in various theatre dramas like, Jis Lahore Nahi Vekhya, Baabuji, Changes Khan, Hamlet. After establishing himself in Lucknow and getting a diploma in theatre arts he moved to the capital city of India, Delhi. Abha singh the renowned former Bureaucrat, Advocate and Social Activist was spotted in many events with different bolly celebs . Abha Singh will join Vidya Balan in her radio show “Dhunn Badal K toh Dekho” where they will be discussing on issues of the radio callers. She was also seen at The 24th Annual Congress of Gynecologists #ISAR at Mumbai with Actress Swara Bhaskar and other known socialites. She was also seen gracing the ramp for Shaina NC held in association women achievers from all walks of life walk in support with Cancer Patients Aid Association (CPAA) at Mumbai. Proceeds of the show went towards the treatment, rehabilitation and care of children suffering from cancer. Renowned celebrities like Farhan Akhtar, Preity Zinta, Amrita Arora and Sunil Grover walked the ramp along with Abha Singh.